How often do any of us read "academic" articles to supplement our family histories? It's hardly the first thing on our minds after we have a genealogical skeleton in place. After seeking (hopefully all) the available original sources, we go for the local and community histories, newspaper items, church histories, biographies of contemporaries, and other such published or compiled works. They are necessary to illuminate past context, and many even provide clues to individual names. Last year I posed a question in a blog post and to Facebook friends regarding the “qualifications” of a turn-of-the-(19th)-century Presbyterian preacher. To elaborate, how credible is it that an illiterate man would know the Bible, would have the ability to exhort and inspire his community, and be acknowledged as a spiritual leader? The few respondents agreed the likelihood was plausible. None of us had what you’d call supporting evidence. The individual behind my question was “Preacher” John Cameron (ca.1761-ca.1852) who lived in the seigniory of Argenteuil, Quebec, in the early 1800s. We think his birthplace was the Lochaber district of Scotland, likely Kilmallie (spelling varies) parish which covers a greal deal of the area. References to his avocation come only from derivative sources. While his identity is not firmly attached to the John Cameron with eight known children, he seems to have no other “rival” of the same name and timing. The man is documented several times as illiterate. Well ... first we remember that many, many common people in that time period were illiterate. Secondly, the Scots I speak of were generally unilingual; their language was Gaelic. Thirdly, ordained ministers usually did not arrive to reside in a pioneer new-world community until well after it was established. Presbyterians transplanted from Highland parishes where church practice was a strong element in their lives would naturally have a desire for any kind of continuity in the early years of settlement. So yes, the Preacher Cameron scenario seemed fairly plausible to me as well. But still, I wondered, how would such a man—even one gifted with oral skills—acquire his learning? Indeed, the necessary body of knowledge? Reaching beyond the customary bevy of derivative sources when composing family narratives involves supplementary historical research. Typically, education in the Highlands--when this John Cameron was growing up and in early manhood (1760s and 1770s)--was largely dependent on the availability of teachers sponsored by the Scottish Society for Propagating Christian Knowledge (SSPCK). Their original attempts at schooling in English were greeted with general apathy. 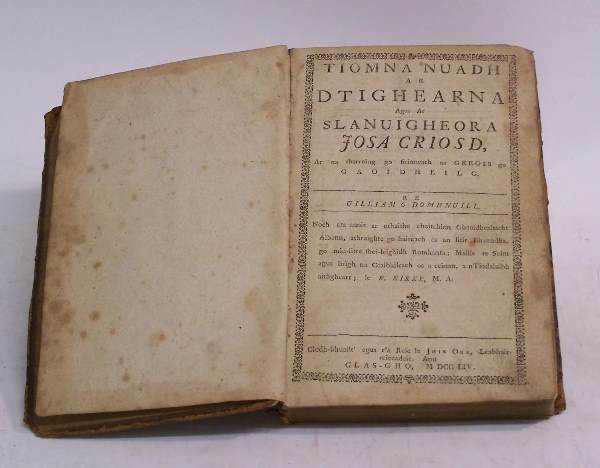 Translation of the New Testament into Gaelic (1767) meant it often served as the mainstay “textbook” in isolated parishes. “A large number of the works by seventeenth century Puritan divines were also translated into Gaelic. 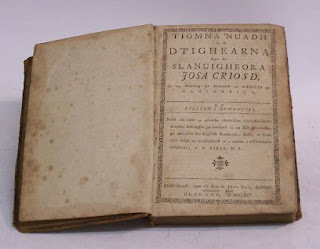 For many years these were the only Gaelic literature in print, but as the majority were unable to read, it was the influence these books had on the preachers that was to be important. Amongst a non-literate people who were highly sensitive to poetry and oratory, the influence of preaching cannot be overestimated ....”. In 1791-92 the report of Mr. Alexander Fraser, by then the established minister for Kilmallie, gives minimal information about schooling. 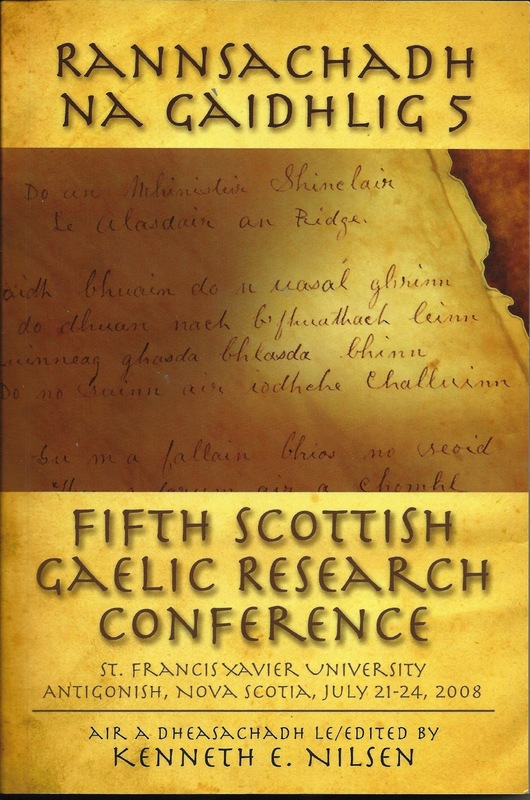 The report was a generation following that of John Cameron’s youth, noting a parochial school in the town of Maryburgh (Fort William): “Here, the languages and mathematics are taught.” Five SSPCK schools were within the extensive, rugged parish without mention of exactly where. And Kilmallie shared a catechist with neighbouring Kilmonivaig. Church and bible were the overriding influence on education. More enlightenment! A Gaelic scholar in a publication I would never have thought of consulting opened a whole new understanding. Thank goodness this particular article was in English! Her subject is the sacramaid (a five-day outdoor gathering for communion service), and in particular the ceist (dedicated to “self-examination, scriptural inquiry and commentary led by highly-esteemed biblical savants”). The ceist occurred on day two of the gathering, a Friday, a time when clergy and laymen alike would discuss a chosen passage of scripture. (You will recognize the evangelical “model” for later open-air revival meetings of other denominations.) By custom, well-spoken, godly laymen or elders predominated on this day and became known as “The Men” (na Doine). The sacramaid tradition in the Highlands and Islands was a yearly highlight that included reunions for extended family and youthful courtship, but above all, religious enrichment. The Men became a great salutary influence, revered for their piety and testimonial preaching. Some would travel from one communion to another to lead prayers and the ceist. In fact, in Scotland, their dominance of “Friday Fellowship” meetings began to exclude clergy to the umbrage of the eighteenth-century church establishment. That coincides with Preacher John Cameron’s time in Scotland. Who can argue that Preacher John Cameron was not of that ilk? My post scarcely touches on the impact of the highly anticipated annual event—and of The Men—on the psyche of Highland Presbyterian adherents. As Stanley-Blackwell relates, the tradition migrated to and thrived in Cape Breton. Apparently immigrant Scots in Quebec’s Ottawa Valley did not plant similarly deep roots of Gaelic language and custom beyond a generation or so. Evidence of such gatherings in Quebec regions eludes me. Genealogists can guess at some influences that made the difference in the two nineteenth-century immigrant areas, but it’s really the domain of history scholars—worth the extra mile to seek out their works. Sources could be journals of historical societies, university departments, and learned societies. Doctoral theses and dissertations can be consulted, many online, by visiting individual university websites; look for those with history departments relevant to your region of interest. Footnotes and bibliographies also provide additional in-depth reading. My thanks to Nicholas Maclean Bristol for the tip. Coincidentally, Michael Hait of Planting the Seeds led me to Kassie Nelson’s Cedar Tree Genealogy blog where she aptly muses on the perspective-widening benefits of studying historiography. Rev. Dr. Paterson, “The Presbyterian Church, St. Andrews,” History of the Counties of Argenteuil, Quebec and Prescott, Ontario, Cyrus Thomas, compiler ( ), 104-107. Cameron descendants also preserve the story. Cour supérieure, District judiciaire de Terrebonne, Répertoire du notaire Michel-Gaspard Thibaudière de LaRonde (Saint-André Avellin, Québec), document no. 3211, will of John Cameron, 20 September 1836; Bibliothèque et Archives nationales du Quebec (BAnQ) at Montreal, CN606, S5. “Quebec Vital and Church Records, 1621-1967 (Drouin Collection), digital image, Ancestry.ca (www.ancestry.ca : accessed 5 March 2012), baptism Allan Cameron, 30 October 1807: “parents don't write”; citing St. Gabriel Street Presbyterian Church (Montreal, Quebec). Cour supérieure, District judiciaire de Terrebonne, Répertoire du notaire Michel-Gaspard Thibaudière de LaRonde (Saint-André Avellin, Québec), document no. 3211, will of John Cameron, 20 September 1836: “... said Testator having persisted therein had made his mark having declared that he could not write his name”; BAnQ Montreal, CN606, S5. District of Montreal, County of Two Mountains, notaries J.Geo. Lebel and F.H. Leclair of St. Hermas, document no. 944, donation inter vivos, John Cameron to sons Angus and Alexander, 20 January 1845: “The donees have signed and the donor declared that he could not write.” A transcription of the notarial document was provided by third-party Cameron researchers—the citation is incomplete until they provide details or unless I can see the original documents. Nicholas Maclean Bristol, Hebridean Decade: Mull, Coll and Tiree 1761-1770 (Coll, Scotland: The Society of West Highland and Island Historical Research, 1982), 11. “Kilmalie, County of Inverness, Account of 1791-1799,” digital images, The Statistical Accounts of Scotland 1791-1845 (http://stat-acc-scot.edina.ac.uk/link/1791-99/Inverness/Kilmalie/ : accessed 8 February 2013), Vol. 8, no. XXIV, 407-447. Laurie Stanley-Blackwell, “God’s Ceilidh: Cape Breton’s Ceist Tradition,” Fifth Scottish Gaelic Research Conference, St. Francis Xavier University, Antigonish, Nova Scotia, July 21-24, 2008, Kenneth E. Nilsen, ed. (Sydney, NS: Cape Breton University Press, 2010), 238-252.